If you make pre-made food such as jams, cupcakes, cookies etc. you do not come under our “Food Vendor” category, but rather a normal stall under the category of “Food, Pre-Made”. Please read the information for stallholders for further information. Please take the time to read our Terms and Conditions for Stallholders before applying, and if you have any queries please do not hesitate to get in touch. Links to a website, or your social media. If you do not have these, that is ok – it is not a detractor to your application, but we do suggest looking at adding these to your business. Please be aware that we do not offer powered stalls for food vendors due to the site and inaccessibility to power. All fees are inclusive of GST. You must provide your own complete set up for your stall as Perth Makers Market does not provide these items. You will need to create your own online business profile via our stallholder portal: https://portal.perthmakersmarket.com/. Once you have added all information and images, you will be able to apply for market dates in the section titled “Market Applications – Upcoming Markets”. Click on to the date you are interested in applying for, and then you can apply for the appropriate stall size and any relevant discounts. Once you have completed the application for that date, the date in question will move under the heading “Existing Applications”. 1. Do I need to supply my own gazebo? Yes, you need to provide your own complete set up for your stall including gazebo. 2. Is there power available? We do not offer powered stalls due to poor availability/access to power on site at Heathcote. If you require power in order to attend please include this information as part of your application. We have a limited availability to offer power in certain locations and do not wish to run into issues on market day with accepting stallholders who require power that we are then not able to accommodate. Please be aware that if you need power provided by Perth Makers Market in order to run your stall you are less likely to be accepted to our events due to this issue. 3. Can I peg my gazebo into the grass? Under no circumstances can items be pegged/stuck into the grass at Heathcote. This is a very strict requirement by City of Melville and is part of our conditions in making use of the site. Your gazebo must be weighted with appropriate weights (proper weights that are strapped to your gazebo), items such as bricks placed on the base of your gazebo are not acceptable. This is a safety issue and should market staff find you non-compliant on market day you will be asked to take down your stall and leave our event. If you need advice on where to purchase appropriate gazebo weights please contact us. 4. I make cupcakes/cookies/baked goods, do I apply for a food stall? 5. You only have two sized stalls for food vendors, 3m x 3m or 3m x 4.5m. My food van/truck is larger than this size, can I still apply? Due to limited site size and the standard layout we work with we are unable to accommodate food vendors who do not fit within our standard stall sizes. Once a stallholder submits their application, the stallholder agrees to adhere to the terms and conditions as outlined in this document. We implore you to read through the terms and conditions carefully to ensure compliance and to prevent future disappointment or disputes. Applications must be completed clearly and accurately. Specific information is required regarding how your products are made. PMM reserves the right to decline applications we deem unsuitable at our discretion. We will determine the success of your application based on specific criteria, which includes but is not limited to where your products are made (must be Western Australian made), how your products are made (must be made by you). Other considerations include but are not limited to creativity, presentation, professionalism and originality. It is of utmost importance to remember that stallholders are to engage only with the Perth Makers Market management and staff to discuss any issues, rather than the managers or staff of any of our host venues. All products for sale must be designed and handmade by the stallholder in Western Australia. Stallholders who embellish, alter or decorate existing products must provide significant changes to the original product. Small alterations to otherwise functional existing products are not considered appropriate, and applications where this is encountered will be unsuccessful. Similarly, if products are found to be produced in other parts of Australia or in fact overseas, those applications will also be unsuccessful. Stallholders are only able to sell products approved by market management as per their application. If you have been accepted into an event and you wish to sell additional products, please submit a request in writing with attached images to PMM for approval. If you have not been accepted to an event you can update your profile in our stallholder portal at any time. Stallholders are not permitted to sell goods on behalf of other artists or makers. Shared stall spaces are available as an option during the application process. Perth Makers Market requires full details of both businesses and therefore both makers are required to submit an application. Stallholders who do not comply with this condition will not be approved. It is the responsibility of stallholders to ensure their products comply with the relevant safety and labelling standards for their items. Perth Makers Market takes no responsibility for products/stallholders who fail to comply with standards and regulations. Stallholders are not permitted to sell offensive, illegal, prohibited, counterfeit or unauthorised goods including goods bearing trademarks for which the stallholder does not have a licence to sell. It is the stallholders responsibility to ensure that the products they are making do not infringe on any third party rights, including the Intellectual Property rights of other stallholders and businesses. Acceptance of stallholders for participation in events is at the sole discretion of Perth Makers Market. Perth Makers Market reserves the right to reject applications and not enter into correspondence or otherwise explain further. Stalls cannot be transferred, sublet, franchised or sold to any other person and cannot be shared without written approval from market management. All stallholders will be informed in writing of their stall allocations, bump in time and location one week prior to market. All stall allocations are final. Stallholders are provided a space for the event for which they have applied and the term of that hire occurs for that event only. Submission of a successful application for one event does not automatically approve stallholders for any future events nor guarantee success or spaces for future events which may be submitted. Successful applicants will have 7 days to make payment of stall fees upon notification of acceptance to the market and issue of invoice which will occur at the time of acceptance. Notification of non-attendance is required in with an explanation provided in writing as to the reason for non-attendance. If you decline your stall offer, no fees apply. Once your stall offer is accepted and paid for, should you cancel six (6) or more weeks prior to the market date for which you have been accepted, you will be entitled to a 50% refund of your stall fee. Cancellations received within six (6) weeks or less, prior to the specified market date for which you have been accepted, are non-refundable. Stallholders bump-in and set up during the three hours prior to market opening time, and must be ready to trade by market opening. Pack up and bump-out must be completed within two hours of market closing. Stallholders who are not set up and ready to trade by market opening forfeit their stall for that market date. 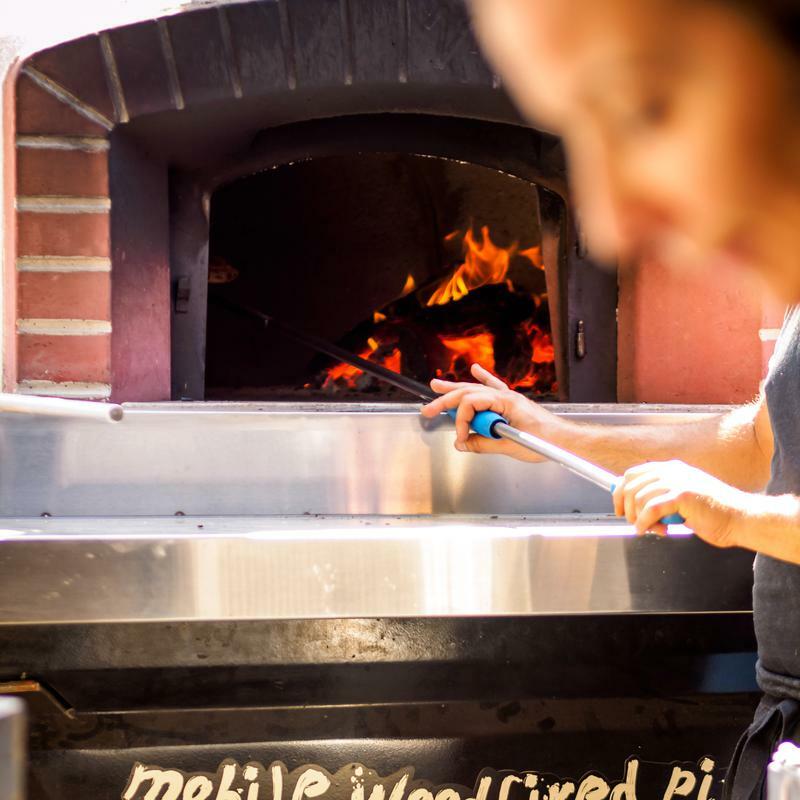 Stallholders must comply with the bump in times and locations provided by Perth Makers Market. Failure to do so will impact acceptance at future events. Stallholders must comply with instructions provided by all market staff on the day, not just management staff. Perth Makers Market take no responsibility for the weather. Please come prepared for all weather conditions. No stallholders are allowed to fix or adhere anything to walls. Additionally, stallholders are responsible for any damages they incur to our host venues. All stallholders must cover tables with floor length tablecloths, covering all sides of tables. Items not on display for the purpose of selling must be out of sight. Tablecloths must not be a tripping hazard (i.e. tucked so out of walkways). (Food stalls only) If power is required, it is the stallholders’ responsibility to ensure that all leads and electrical equipment are tagged and tested in compliance with workplace laws and regulations. All outdoor stallholders must provide their own gazebo. All gazebos are to be weighted down using appropriate weights prior to commencement of trade. No gazebos are permitted to be pegged into the ground at any time. Stallholders without weights will not be allowed to erect their gazebo with no exceptions and no refunds. Stallholder displays and materials must stay within their assigned stall space. Failure to do so may result in items being removed by market management for safety reasons. Stallholders must supply their own set up for the market including tables and chairs. Please show all consideration to safety of yourself, your team, your fellow stallholders and patrons. Stallholders must clean up all breakages and spills that occur within their stall space. For any safety concerns you have during the event at or near your stall, please contact Perth Makers Market staff as soon as possible to prevent injury. Stallholders agree to trade for the entire duration of the market event they have accepted to participate in. Competitions, raffles or giveaways cannot be run without written approval from Perth Makers Market. Perth Makers Market do not permit stallholders to stand outside of their stall space to distribute flyers to passing customers due to impact on fellow stallholders. Stallholders are responsible for the area of their stall and surrounds and must leave the area clean and tidy. Boxes and cartons must be removed from market area. Market bins are not to be used for disposal of stallholder waste or packaging materials. All stallholders must be respectful and considerate of their neighbouring stallholders, their spaces and any shared areas. This is not only to ensure the safety of stallholders and patrons, but to maintain a courteous and friendly environment for all. It is the responsibility of the stallholder to trade in accordance with Market, State and Local Shire regulations. Stalls must not commence pack up prior to the advertised closing time. Stallholders must pack up their stall and transport items to a designated bump out location prior to collecting their vehicle. Stallholders must follow directions of market staff at all times to ensure safety. All stallholders are responsible for the removal of their own rubbish and must leave their allocated space in the condition it was found prior to bump-in. All stallholders must provide their own public liability insurance to the amount of $10 million. Should stallholders not have their own public liability insurance, insurance can be purchased for a $20 fee per market from Perth Makers Market. Stallholders must have provided a copy of their PLI compliance certificate with them prior to the event. Stallholders must not at any time insult or intimidate anyone including other stallholders, customers, visitors and staff. Failure to comply may result in the immediate closure of your stall and you will be prohibited from trading at the next or any future events. You must not engage in any conduct which is disruptive or inconsistent with the purpose of Perth Makers Market. This includes but is not limited to online bullying, engaging in false claims in online reviews or slander of Perth Makers Market, our stallholders, our venues or our staff. Stallholders must comply with the market’s traffic plan and parking allocation for stallholders. Stallholders are required to unload their market supplies at their allocated bump-in location, and immediately move their car to the allocated event parking. Stallholders requiring assistance when moving between event parking to the event (for any reason) are able to apply to Market Management for an exemption. During Bump Out, stallholders are required to fully pack down their stall and transport goods to a bump out location, prior to getting their vehicle. While all care is given where possible, Perth Makers Market are indemnified from any theft, loss or damages to persons, money or goods as a result of participating in the markets. Alcohol and drug consumption is strictly prohibited by any stallholders for the duration of the market. Additionally, no smoking is allowed by stallholders within their stall, and all smokers must adhere to smoking locations as allocated by our host venues. Due to the variety of venue restrictions and rules, stallholders are prohibited from bringing their pets. Images of stallholders and stallholder products may be used as promotional material by Perth Makers Market for media and publicity purposes. By applying to be a stallholder at the market you are agreeing to images of both yourself and your products being captured and then used by Perth Makers Market through promotions both online and digital. Images supplied by stallholders may be used as promotional material by Perth Makers Market for media and publicity purposes. By supplying images of you, your stall or your products to Perth Makers Market, you are confirming that the images are yours, or you have approved photographer’s agreement for use of photography. If permission was not sought for the use of images, any fees or royalties incurred for the use of the image will be invoiced to the relevant stallholder. Perth Makers Market reserves the right to cancel any market event up to 12 hours prior to its scheduled time. Perth Makers Market will inform vendors via e-mail of event cancellation with as much notice as possible. Insufficient stalls booked for the event. 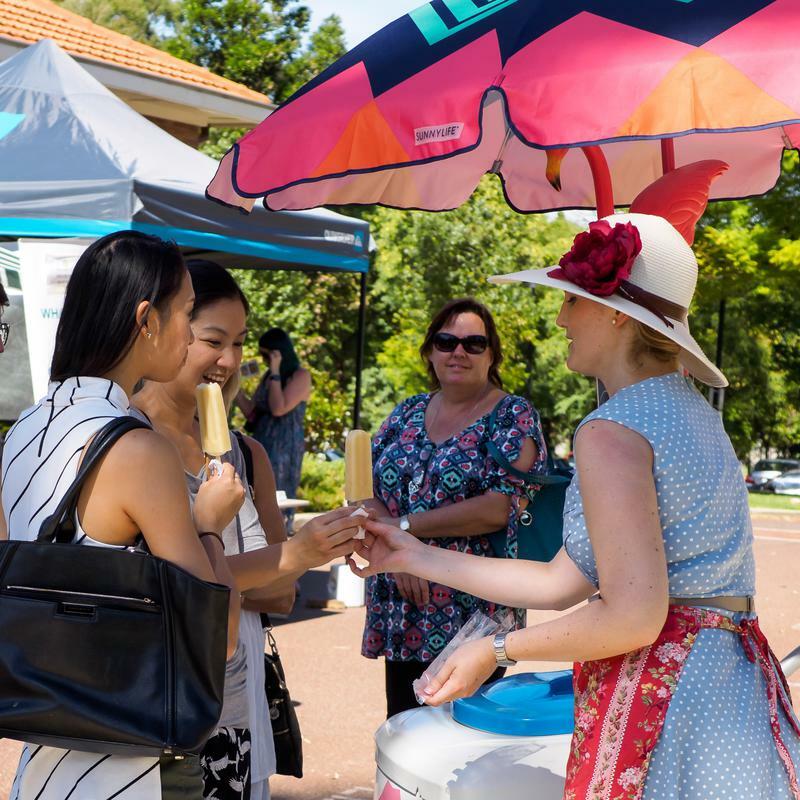 If an event is cancelled by Perth Makers Market, vendors are entitled to a full refund of their stall fee, minus an administration fee of $15. If an event is cancelled by Perth Makers Market due to Safety (severe weather warnings), vendors are entitled to a 50% refund of their stall fee. 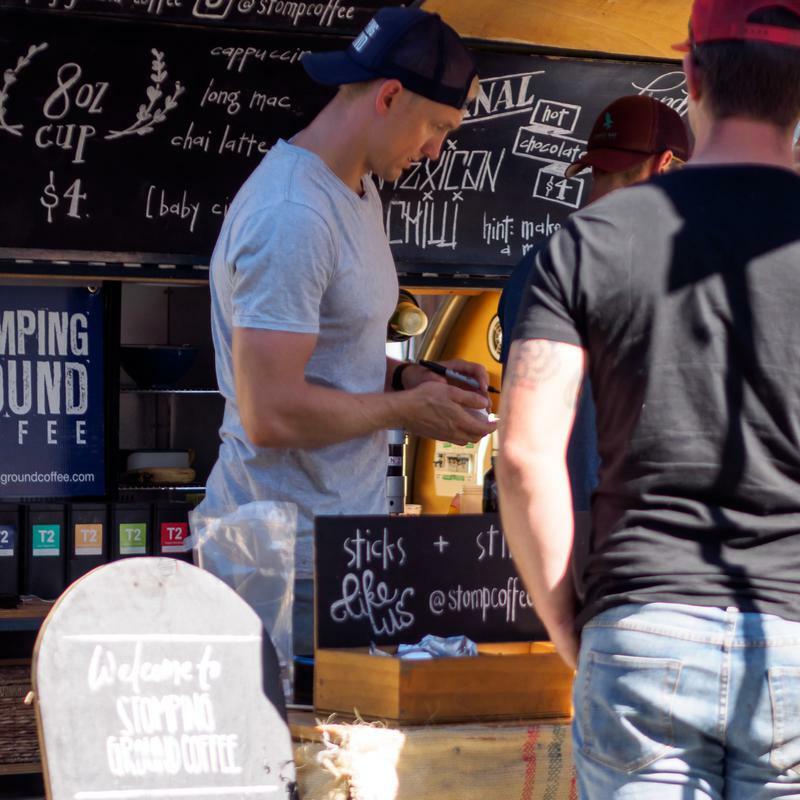 Perth Makers Market will only allow stalls to trade if their food/beverages are produced in Council registered food premises and appropriate certification can be produced. Perth Makers Market will only allow stalls to trade if they have a permit to sell their food/beverage as a mobile vendor. Food/Beverage stallholders must be registered with the local council where the event is hosted and pay appropriate council permits. 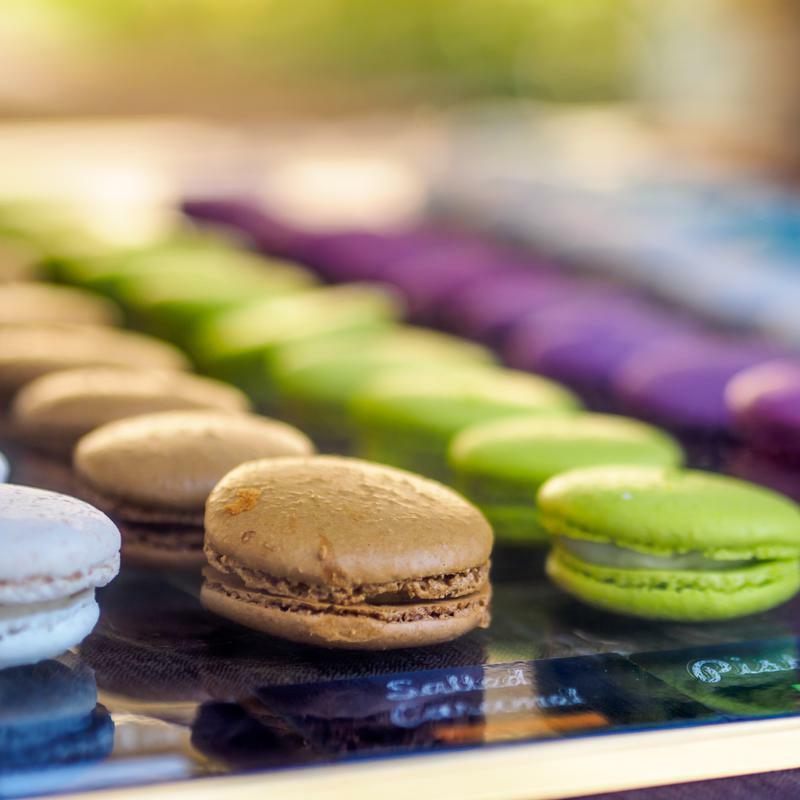 Obtaining and paying for a food/beverage permit is the responsibility of the food/beverage stallholder and must be completed prior to event application. All certificates of registration/permits must be provided as part of the application process. Food/beverage vendors are required to produce a copy of their mobile food/beverage vendors insurance. Perth Makers Market are not liable for any damage, loss or harm stallholders or anyone working with stallholders may encounter as a result of participation in the markets, including physical, psychological and economic harm. Perth Makers Market are not responsible for any claims, actions, demands or suits that stallholders may face as a result of their conduct. Where disputes are occurring between participating stallholders, in regards to any matter, including but not limited to the Intellectual Property rights of stallholders, Perth Makers Market will not be directly involved under any circumstances. Should any disputes be actively occurring at any stage during events, we kindly request that those be taken offline, outside of market hours, and without the involvement of other stallholders, venue staff, or Perth Makers Market management. Perth Makers Market are not responsible for the maintenance of copyright or Intellectual Property rights of any of our stallholders at any time. Stallholders found in breach of any of the terms and conditions outlined within this document, risk exclusion from future events, determined at the discretion of Perth Makers Market management.